Sweet Tooth? Banana Ice Cream Sundae with Chocolate Sauce! Do you have a sweet tooth you are constantly trying to satisfy? If you answered yes, then I have a treat for you (pun intended)! 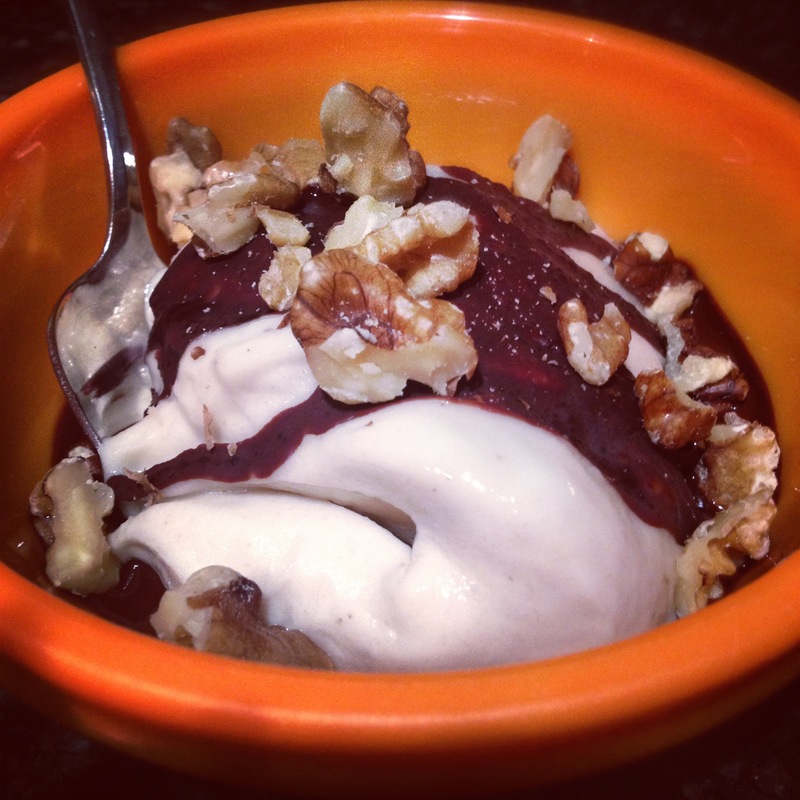 I stumbled on a great little dessert last night that was super-fast, super easy, and reasonably healthy! Some of y’all may have already had this “ice cream,” but if you’ve never tried it, you should! It’s good! I will say that my Vitamix made it extra easy, but probably any strong powered blender will do. I also happened to have frozen bananas in the freezer (I try to always keep at least three in there peeled and frozen in Ziplocs), so this recipe may actually take a tiny bit of planning ahead if you’re not overly prepared like me, haha! For me, the best part about this dessert is that it’s raw vegan! And like I always say, just give it a shot! You’ll be pleasantly surprised! Landri and Scott both liked it and the chocolate sauce was extra awesome. It reminded me of that Magic Shell ice cream chocolate sauce because it hardened on top of the ice cream. Also, PS. I just got a new cookbook with plant-based recipes for kids that are only three ingredients. Hopefully we’ll have some success to share! Will keep you posted! Here is the website I got the recipe from… check it out, they have lots of good stuff on there! Previous Post 2 months: Toots, First Trick & More! Next Post Looks like somebody has a case of The Mondays! love your recipe”s need to make and try myself one day have two crazy toddler that would want to try too.